Holi is one of the most popular Indian festivals. Celebrated in the months of February or March, this Hindu festival signifies the victory of good over evil and is celebrated to welcome spring. Predominantly observed in India, Holi denotes the approach of the spring equinox. This year Holi will begin on the evening of 1st March and ends by the evening of 2nd March. Also known as the festival of colours, Holi is cherished and rejoiced by people across the country in different forms. Here are some of the various ways in which the festival is celebrated across the country. The moment we hear the word Holi, we correlate it with Vrindavan and the Braj region. Traditionally associated with Lord Krishna, the localities in the Braj Region, like Agra, Mathura, Nandgaon, Vrindavan, and Barsana, are the major tourist attractions during the Holi season. In these localities, especially in Barsana, people celebrate Lath mar Holi in the Radha Rani temple’s compound. In this ritual, women beat up men with sticks (Lathi) as the men sing Holi songs. This unique form of celebration denotes men singing to gather women’s attention and women protecting themselves by chasing men away with sticks. Apart from this ritual, in the Braj region, Holi celebrations last for close to 16 days, out of which people celebrate the festival with colours for seven days. This period is the perfect time to visit Agra for a memorable vacation to embrace the tradition of this festival and to indulge in a rainbow of colours. While you are here, stay at the Sterling Agra for an ideal getaway. In addition to Lath Mar Holi and drenching in colours, a traditional celebration of Matki Phod is also included in Holi celebrations here. Matki Phod is a game, where men form teams and make a human pyramid trying to reach and break a pot filled with buttermilk. This game is also played around the time of Krishna Jayanthi. Similar to most other places, even in Gujarat, Holi is a two-day festival. On the first day, by late evening, people light a bonfire and offer coconut and corn to the fire. The second day of the festival is known as Dhuleti, where people sprinkle coloured water and apply Holi colours on each other. In addition to these, in the city of Dwarka, the festival is celebrated with comedy and music. All over Gujarat, Holi is celebrated with the same vigour as Navratri. Holi is all about dance, music, games, fun, and colours here. Similar to the celebration in Braj region, even in Gujarat, at many places, people play the traditional Matki Phod game during Holi. An interesting Holi ritual in Gujarat involves women beating their brothers-in-law with ropes made out of saris with mock anger. She, then, drenches him in colours. Later, in the evening, the brothers-in-law bring sweets for their sisters-in-law. For a complete musical affair, you must visit Uttarakhand during Holi season. Known as Kumaoni Holi, after the people from Kumaon region, the festival is celebrated with a lot of fervour and enthusiasm. Apart from music, the celebrations include bonfire and dancing. In Uttarakhand, you will find Holi being celebrated and called by different other names, like the Baithki Holi, Khari Holi and Mahila Holi. Irrespective of the differences in names, the crux of this festival in this state is to sing and play music. If you love different genres of music, Uttarakhand is the place you should be in, this Holi. On the day one of Holi, people light bonfires and offer dry cow dung, wooden logs of Holika tree, fresh grains, and wood leaves to the fire. After the bonfire, families gather around, and the eldest member of the family smears colours on the rest of the members, post which everyone sprinkles colours on one another. The sprinkling and smearing of colours continue to the next day as well. Apart from colours, cleaning homes, and distributing sweets, the other important aspect of this festival in Bihar is the folk songs. During Phaguwa, people sing folk songs and play dholak. Consumption of Bhang is also a practice in some places here. Known as Dol Jatra or Dol Purnima, Holi is celebrated in West Bengal by placing the idols of Radha and Krishna in a palanquin. This palanquin is then taken around the city. The people also dress up in saffron or white-coloured clothes and wear garlands made of fragrant flowers. They go around the city to sing and dance. Sprinkling colours is also a part of Dol Jatra celebrations. Finally, traditional dishes like Kheer Sandesh, Malpoa, Payash, etc. are served as a part of the festivities. In Goa, Holi is celebrated as a Konkani spring festival known as Shigmo. The festival and its celebrations last for a month. The festival of colours is celebrated to welcome spring in Goa. Similar to Holi celebrations in other parts of India, Goan Holi also includes Holika, i.e. the bonfire and sprinkling of colours. An interesting ritual of Shigmo festival is the traditional folk and street dances that are performed by farmers. 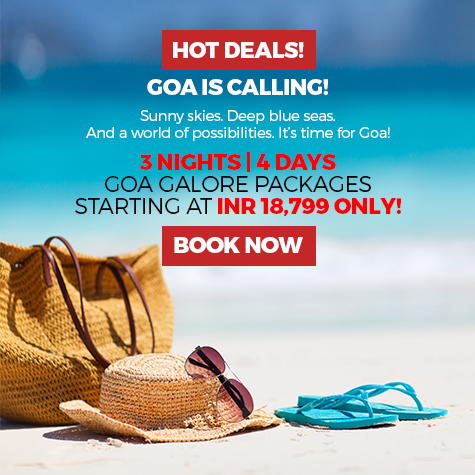 Many tourists visit Goa during this season to be part of these celebrations. 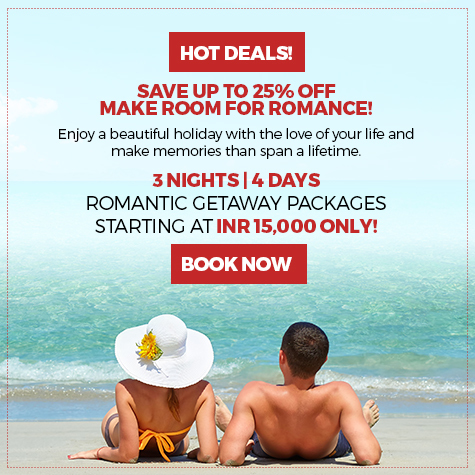 While you are here, you can stay at Sterling Goa, Bardez or Sterling Goa, Varca for an unforgettable holiday. In Manipur, Holi is celebrated for close to one week. Holi merges with the local festival called Yaosang. Therefore, both the festivals are celebrated together. Thatched huts are burnt during the commencement of this festival. Children go from one house to another asking for money as gifts. At night, folk dance performances are held. These days, even contemporary bands play alongside. On the final day, a large procession for Lord Krishna takes place in the city. A noteworthy and unique aspect of Yaosang is the five-day-long sports festival, which consists of fun games like spoon racing, tug of war, soccer, half marathon, etc. Which state’s celebration was your favourite? Let us know in the comments below. On behalf of Sterling, we wish you a Happy Holi. Why skiing in Hampta Valley will give you goose bumps of a different kind.